Today on the Doc On The Run Podcast we’re talking about 5 Plantar Fasciitis Treatments Your Doctor is Selling that Runners DON’T Need! So then, we even created an online course on Runner’s Heel Pain that teaches runners like you how to do their own self-diagnosis and make sure you are doing the correct treatment once you know which condition is really causing your heel pain. We’ve put links to the book and the course at the bottom of the show notes for this episode. Check those out if you’re confused about whether or not you actually have plantar fasciitis. But back to making sure you don’t waste time or money with unnecessary treatments. Whenever you go to the doctor you want to solution. And unfortunately that leaves you vulnerable to sales tactics that your doctor may use to get you to buy some things or agree to some treatments which may not actually be necessary. In some cases common treatments doctors use on patients can actually be harmful, particularly if you are a runner who wants to keep running. The interesting thing is that most patients believe, and one would hope, that the doctor is only going to offer treatments that are in your best interest. We all want to believe, and would like to believe, doctors don’t have conflicts of interest. But that whole notion is completely crazy. The entire medical system in the United States is oriented around doctors getting paid more for doing more things. Doctors in United States do not get paid to prevent disease. Doctors in United States do not get paid to help you run. In fact, doctors don’t get paid more to get you better quickly. Doctor’s actually get paid more, if it takes longer to get you better because you have to see the doctor over and over and over. Each time you see the doctor, the gets paid again. Insurance companies only reimburse doctors for procedures, treatments and medical devices that the doctors either supply or sell to their patients. Of course, the doctors are selling these things to you because they think they might help. But don’t confuse yourself into thinking that the doctor doesn’t have a conflict of interest. The doctor gets paid more money for every single thing she does and every single thing she sells to you in the office. As a runner you have to understand which treatments are really effective, and which treatments might be offered to you that may be okay for a normal patient, but just are not really going to be worth the risk or the cost if you’re runner with plantar fasciitis. So in this episode we’re are going to talk about why each of these five treatments commonly recommended by doctors are not really necessary for you if you’re a runner with plantar fasciitis. 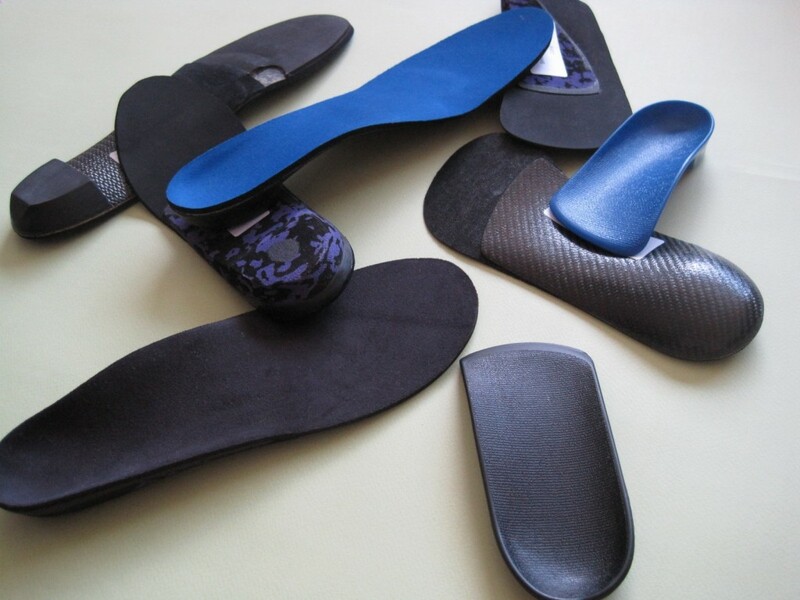 Custom orthotics are custom fabricated shoe inserts that are designed to alter your foot biomechanics. They’re made from a custom mold created by the doctor, or one of the assistants in the doctor’s office. Because they are custom-made, they are relatively expensive for you, and relatively profitable for the doctor. Many years ago, when I had a regular practice, I went to a practice management seminar in Florida. This was a medical conference which basically helps doctors understand how to make their medical offices generate income and remain profitable. The bottom line at that conference was: see more people, let untrained assistants do as much as possible, and “dispense” (otherwise known as “sell”) as many high-profit medical devices as possible to every patient, every single day. One of the lecturers walked on stage and asked a simple question. Although most of the doctors in the audience laughed, I don’t actually think this guy was joking. Custom orthotics are expensive. Granted most doctors charge less for a pair of custom-made orthotic inserts than you would pay for an Ironman entry fee, but they’re still very expensive. With runners the monetary cost is not the only issue. Every time you pick your foot up off the ground, move it in front of you and put it down again, it takes energy. Custom orthotics always weigh more than the inserts that come in your running shoes. When you get your new custom orthotics, you take the old, lightweight shoe inserts out of your shoes. Then you put the new, heavier custom orthotics in your shoes in place of those existing inserts. If you add several ounces to the weight of your shoes you will spend an enormous amount of additional energy just moving that additional weight over the course of the marathon. So that’s the second cost to a runner. It just takes more energy to run with the added weight of custom orthotics in your running shoes. As I mentioned before custom orthotics are designed to alter your foot biomechanics. Your natural biomechanics are central to your running form. Although some people do need custom orthotics support in order to correct faulty biomechanics, I don’t believe most runners need orthotic devices to correct their running form. Think about that for a second. How long have you been running? Is there some reason you believe your biomechanics are somehow faulty or defective? Have you always been injured? Have you always developed new episodes of plantar fasciitis every time you start running? This really isn’t true for most runners. Most runners have been running a long time without any significant issues. My basic premise is most runners aren’t broken. Just because you developed plantar fasciitis it doesn’t mean you have faulty biomechanics. There are some cases when people need custom orthotics. When I make custom orthotics for runners I actually offer a money-back guarantee. If I make custom orthotics for you and you don’t run your fastest marathon ever, you can return them for a full refund. In fact you can use them for a full year and I’ll still give your money back. I have never, ever had a pair of custom orthotics returned by runner. Part of the reason that I never had a pair returned is I don’t make custom orthotics for runners unless I know they’re necessary. I understand why doctors consistently want to argue that orthotic support will decrease the stress on the plantar fascia, but I think they are overkill. I don’t think most runners need custom orthotics. A night splint is a specialize brace designed to hold your foot still while you sleep. When I was in residency I got plantar fasciitis and so I decided to try a night splint to see what it was like. I hated it. I don’t even like to sleep in socks. So wearing a brace that holds my foot in a certain position was really uncomfortable. Most nights I would actually go to sleep with the night splint on, but then I would wake up in the morning with the brace laying in the bed next to me. It seems like I would just take it off in the middle the night simply because I didn’t find it comfortable. The idea behind using a night splint is two things. Number one it’s supposed to hold your foot in a position that will keep tension on the plantar fascia. If you keep tension on the plantar fascia all night long, in theory, it won’t hurt so much when you get up in the morning and start walking again. The second function of a night splint is that it supposedly helps stretch out the Achilles tendon. My experience is that it is just not true. Runners who get plantar fasciitis do have a tight Achilles tendon. But the tightness in the Achilles tendon is actually related to the gastroc muscle. The gastroc muscle completely relaxes as soon as you bend your knee. You cannot stretch the gastro portion of the Achilles tendon while your knee is bent. There is no way you will put it on a night splint, hold your foot so it stretches your Achilles tendon tight and go to sleep with your knee straight. You will instinctively and uncontrollably bend your knee. If you bend your knee, you won’t be stretching the part of the Achilles tendon that actually matters. So save the money that the doctor would ask you to spend on the night splint and instead use it to pay for your next marathon entry fee. As I mentioned before you have to stretch the Achilles tendon if you want to get your plantar fasciitis to go away. Doctors sell all kinds of different tools to help stretch the Achilles tendon. Special straps, foot rolling bars, wedges that force you to stretch the Achilles tendon. I’ve seen all kinds of them for sale in doctor offices. The most effective Achilles tendon stretches don’t require any special tools. They just require you to stand with your feet in the right position, leaning against the wall and hold the stretch for 10 seconds. You don’t have to waste any money on any of these doctor dispensed tools to stretch out your Achilles tendon and cure your plantar fasciitis. Save your money and buy a new pair of running shoes instead. I would be willing to bet that the most commonly performed injection in any podiatry office in America is what’s called a “heel spur injection” for the treatment of plantar fasciitis. Basically the doctor says you need to have a Cortizone injection to stop all the inflammation around the plantar fascia. Now these injections are effective. 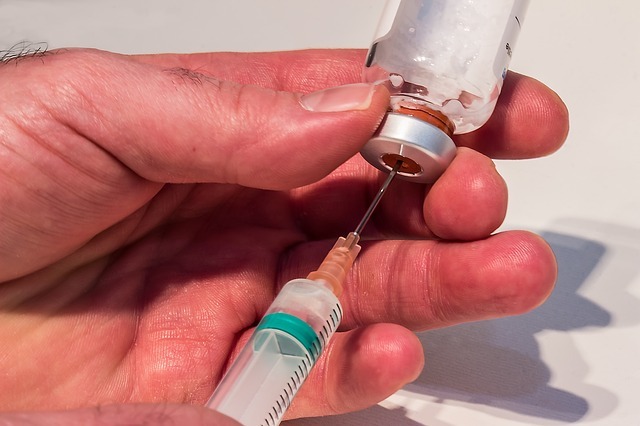 Corticosteroid injections (also referred to as cortizone injections) are extremely effective at stopping inflammation. But they’re also effective at breaking up collagen bonds. When injected in sedentary, nonactive, lazy patients, that’s not really a big deal. The patient is never going to do enough activity after the injection that anything could go wrong. But if you’re listening to this, you’re not a sedentary, non-active or lazy patient. You’re a runner. And as a runner, you plan to run! So if the doctor injections cortizone around your plantar fascia, the plantar fascia collagen fibers can actually get weaker and then rupture. A torn plantar fascia is way worse than an inflamed plantar fascia. Although I used to do heel spur injections for patients with plantar fasciitis almost every single day when I was in a regular type practice, with regular patients, I just don’t do it now that I only help runners. I inject Cortizone for lots of different things, but not for plantar fasciitis in runners. It isn’t worth the risk. A fracture walking boot is basically a removable cast. In my mind treating plantar fasciitis by immobilizing a runner in a fracture walking boot doesn’t make any more sense than trying to kill a fly the kitchen with a hand grenade. You do not need to completely immobilize your foot to get plantar fasciitis to heal. If you’re a runner, we know that using a fracture walking boot can make you weaker, stiffer and potentially even more prone to other injuries after you get out of the fracture walking boot and start running. 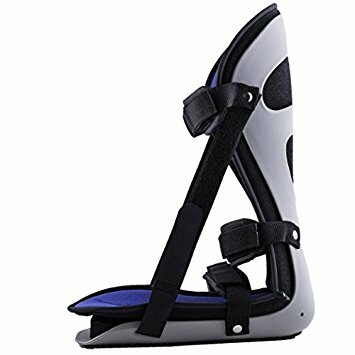 In those rare cases, and I’m not talking about plantar fasciitis, when runners actually do need a fracture walking boot to immobilize an injury to get something to heal, my goal is always to get the runner out of the fracture walking boot and moving as quickly as possible. I would never use a fracture walking boot to treat a runner for plantar fasciitis. It’s just not worth the risk. I actually think that if a doctor is recommending a fracture walking boot, the doctor really doesn’t believe you have plantar fasciitis. Maybe the doctor doesn’t even know what is causing your heel pain. Maybe the doctor just thinks you might have one of several different conditions, but hasn’t really done the work to figure out which one is really causing your problem. But no matter what the doctor is thinking, you have to understand a fracture walking boot is a terrible treatment for plantar fasciitis in runners. So if the doctor says you have plantar fasciitis, pulls out a fracture walking boot and threatens to strap it on your foot, don’t walk, run right out the front door that office. Keep running until you get to another office where you can see another doctor for a second opinion. If you do those things and you don’t get better then you may not have plantar fasciitis. If you aren’t getting better, you should check out the book I wrote called Runner’s Heel Pain: Self-diagnosis and Self-treatment. Better yet, just sign up for the online course on Runner’s Heel Pain so you can quickly learn exactly what I do when I see runners in person, and how I diagnose the true cause of runner’s heel pain, and exactly what I tell them to do get better and keep running.